Now you can easily burn your video and photo files to DVD for watching on your home DVD player with iSkysoft DVD Creator for Mac! 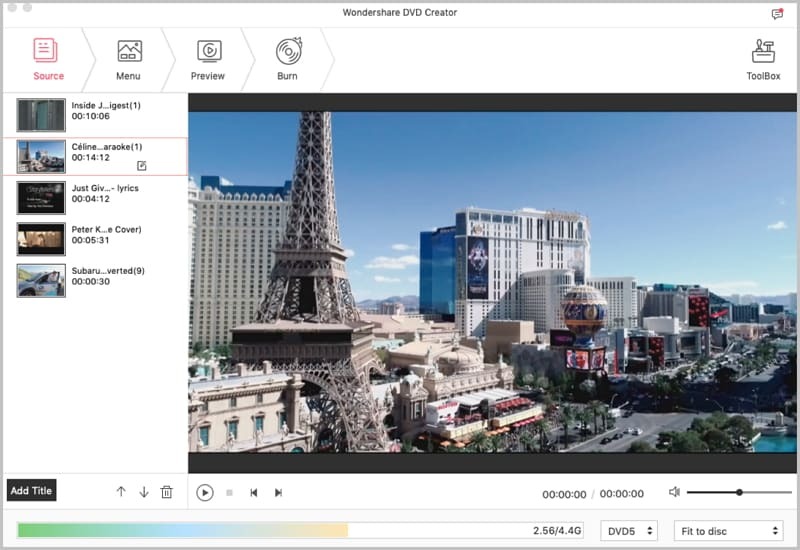 It not only supports video file types like AVI, MPEG, WMV, ASF, DV, DivX, XviD, VOB, 3GP, 3G2, MP4, M2TS, MTS, iPhone videos (MOV) and so on, but also turns your photos into good-looking DVD slideshow. A wide array of Dynamic and Static DVD menu templates are included. This best DVD Creator for Mac allows you to edit your video files by trimming, cropping and adjusting video effect or adding watermarks. You can also burn video to DVD files, .dvdmedia, ISO file. 1. Burn video files in any regular format to DVD on Mac. 2. Create DVD folders and ISO images from AVI, MPEG, WMV, DivX, XviD, MP4, VOB, M2TS, MTS and many other video files. 3. Easily author DVD menu, edit video before burning to DVD disc. 5. Burn PAL and NTSC DVD movies for international compatibility. 6. Supports DVD–5 and DVD–9; DVD-R, DVD+R, DVD-RW, DVD+RW, DVD+R DL, DVD-R DL, DVD-RAM. 7. Fully compatible with Mac OS X 10.8 (Mountain Lion). 1.Mac OS X 10.5 or above(including Mac OS X 10.8 Mountain Lion) 2. At least 512M physical RAM. 1. Overall fine-tuned, ready for OS X 10.8 Mountain Lion.